Since 2007, Folds of Honor has honored a mission to provide educational scholarships to spouses and children of America’s fallen and disabled Service-members. 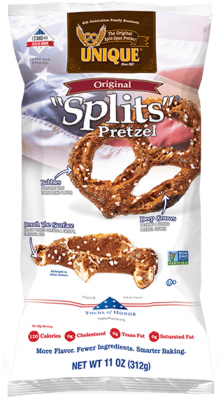 Now Unique Pretzel fans can support this cause and still enjoy the same, great original split-open pretzel that they have come to know and love. For more information on Folds of Honor visit www.FoldsofHonor.org.